Organizations often need an agile approach which recognizes a project management framework with organizational objectives, delivery deadlines, budgets and controls. 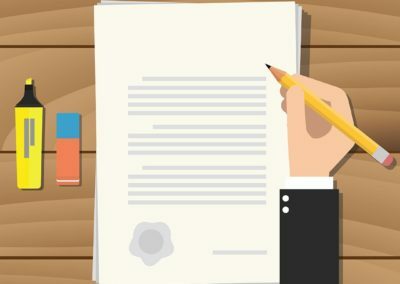 Agile Project Management presents a coherent and easily replicated approach to planning, resourcing and managing a successful and well-disciplined Agile project. 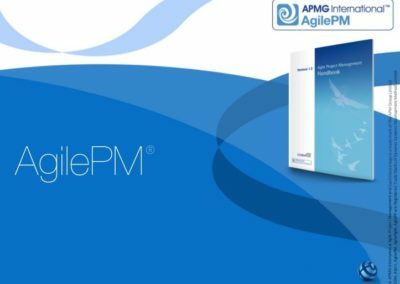 The AgilePM® program addresses the needs of those working in a project-focused environment who want to be agile. 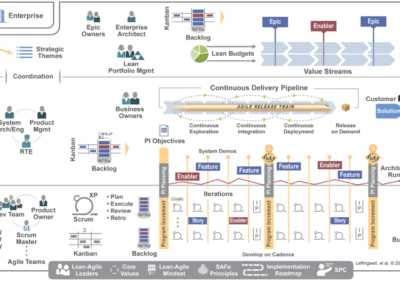 It enables experienced project managers to both apply agile techniques and principles on their projects and also adopt a mature, scalable agile approach within their organization. Our AgilePM coaching and training is based on the Agile Project Framework developed by the Agile Business Consortium. 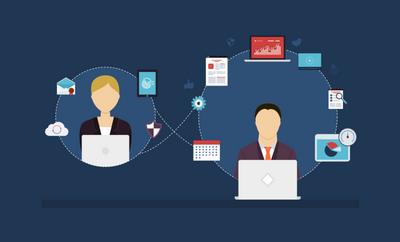 It is the only Agile method that truly fully addresses the concept of an Agile project. 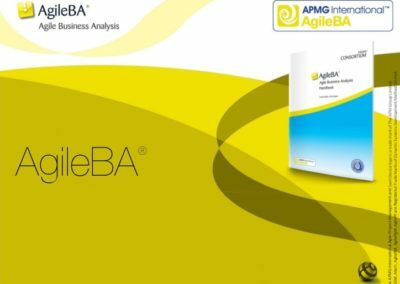 It offers a practical and repeatable agile approach that achieves an ideal balance between the rigor and visibility required for good project management, and the fast pace, change and empowerment provided by agile. The program is designed to help organizations implement agility in a project environment and gain the benefits of agile without introducing unnecessary risks. 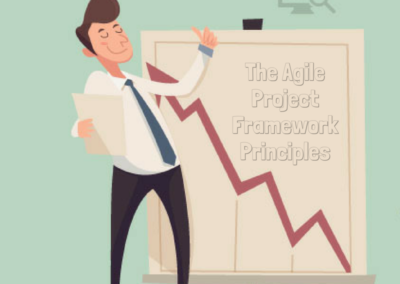 Agile Project Management provides a practical approach built on agile values and principles while retaining the concepts of a project, project delivery, and project management. 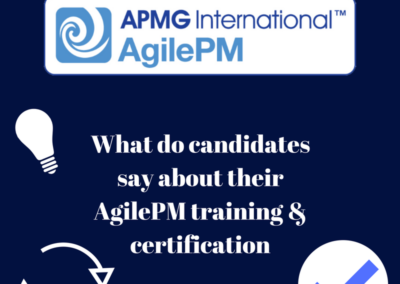 Project Managers with PMPs, PgMP certifications as well as Scrum practitioners will find many questions answered about the role of the PM and BA and the integration of agile concepts in the project management lifecycle. 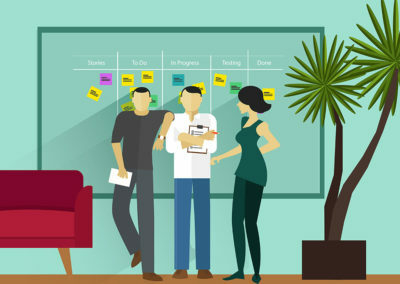 The focus of Agile Project Management is on developing solutions incrementally — enabling project teams to react effectively to changing requirements, while empowering project team members, and encouraging increased collaboration and ownership. It offers flexibility and adaptability while still recognizing the processes that give project managers confidence to run and deliver projects successfully. To understand and learn about AgilePM, IAG offers a 2-day Lean-Agile Project Management course. 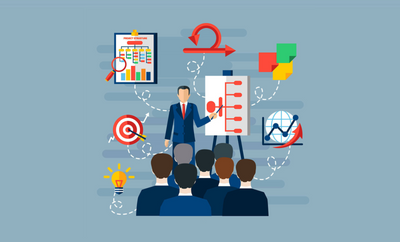 In this workshop, participants go beyond the definitions and theory of Lean and Agile 101 classes and gain an understanding of the specific role, responsibilities and value a Project Manager can add being lean and agile. 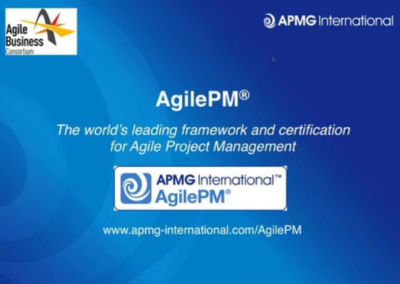 For those interested in becoming a certified AgilePM®, following Lean-Agile Project Management we recommend taking the 1-day AgilePM Certification Preparation course to prepare for the AgilePM Foundation and Practitioner Exams.